PATASKALA — The Northmor Golden Knights cross country teams will be moving on to regionals competition in Pickerington on Saturday Oct. 29. The girls squad won the overall team portion of the Division III district meet and the boys team finished third overall. Kyleigh Edwards from Lancaster Fairfield Christian Academy was the individual winner of the girlsrace, finishing in18:14.87. The top finisher for the Knights was Kristen Duryea, who finished eighth overall with a time of 19:48.77. Jessica Duryea crossed the finish line in 19:59.27, which was good for 12th overall. Other girls running for Northmor were: Julianna Ditullio (19th, 20:30.31), Maria Lee (21st, 20:34.23), Samantha Peters (22nd, 20:38.44), Maddie Jordan (27th, 21:01.06) and Brooke Bennett (44th, 21:42.36). Mount Gilead’s Austin Hallabrin was the top finisher in the boys race on Saturday, crossing the finish line in 16:22.09. The Indians also won the event, taking six of the top 10 spots overall. AJ White was Northmor’s top runnery, finishing in eighth place with a time of 17:41.17. The remainder of the competitors from the Knights contributed high-placing finishes to help push them on to regionals. 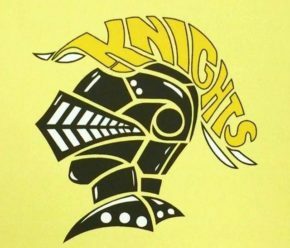 Other runners for the Knights were: Ryan Bentley (18th, 18:17.93), Mostyn Evans (19th, 18:19.13), BJ White (21st, 18:25.98), Kaleb Hart (23rd, 18:29.93), James Walker (30th, 19:03.10) and Manny Heilman (35th, 19:33.23).